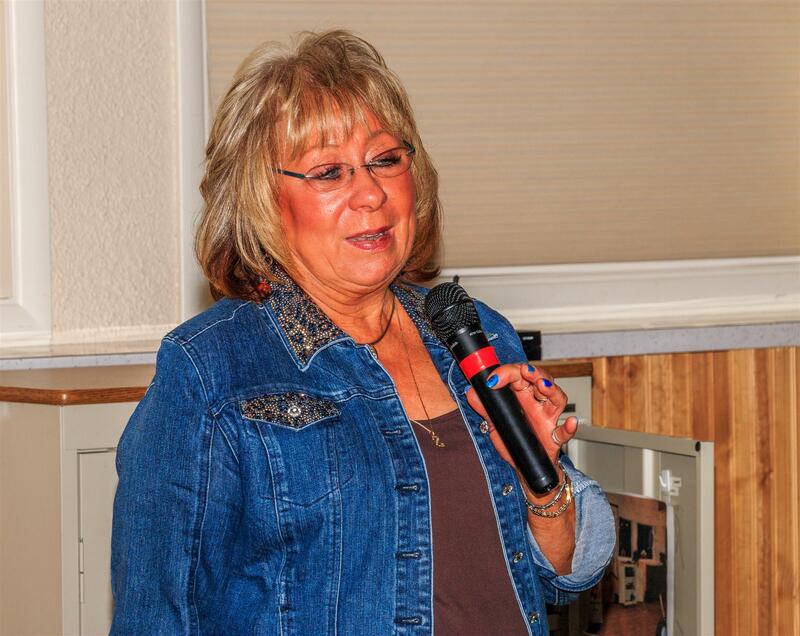 Leslie Reynolds-Taylor, “Minister of Fun” and incoming Vice President of the Port Orchard Rotary Club, spoke about her journey to become a pilot for UPS. She first formed her dream of becoming a pilot after she flew with her dad at age five. She overcame many obstacles, including deafness at age five that took many operations to repair, and the world’s general attitude that “Girls can’t fly,” which she refused to accept. After high school she showed great perseverance in her efforts to pass the test that would allow her to fly, and she succeeded, and went on to help pave the way for female pilots. When she successfully landed a plane that was one fire – with passengers—she finally experienced acceptance. She flew and captained many planes in her career, including a 767! Although she is now retired, she certainly has kept busy. Ten years ago she and her son decided that Port Orchard needed a skate park - so they built one! Leslie finished her talk with a question and answer session and discussion about programs in the area, including the aviation class at CK Middle School, the Women in Flight program at the Seattle Flight Museum.